Generally speaking, the European settlers in North America coined the phrase 'Indian' or 'Red Indian' to describe the North American tribes they found while they were settling what is now the USA. To the north of this vast collection of varying regions and climates were the native settlements of what is now Canada, while to the south were the various peoples of modern Mexico, most especially the Aztecs. The Patawomeck were located on the eastern seaboard in what is now the states of Delaware and Maryland (eastern section), with access to the waters of Chesapeake Bay close to the mouth of the Susquehanna River. The Patawomeck were amongst the most northerly of tribes in the Powhatan confederacy. They were neighboured by the Eastern Algonquian Tokwogh and the imposing mass of Unami Lenape to the north, the Cuttawomans to the east, the Nantaughtacunds to the south, and portions of the Naticoke to the south-west. The Patawomeck name is shown in a variety of ways in original records, including Pattawomeck (with or without an additional 's'), Patawomecks, or Potomac. The latter version is translated as 'River of Swans', although in some versions the phrase 'Honking Geese' is used. 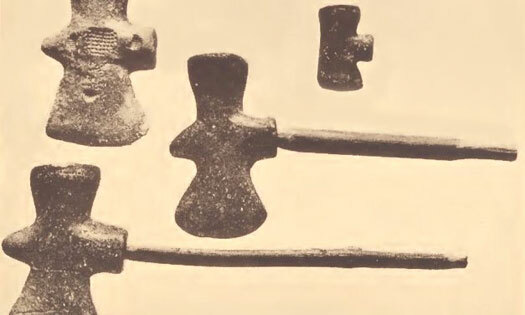 They perhaps have one of the most fascinating stories about their pre-Columbian status. 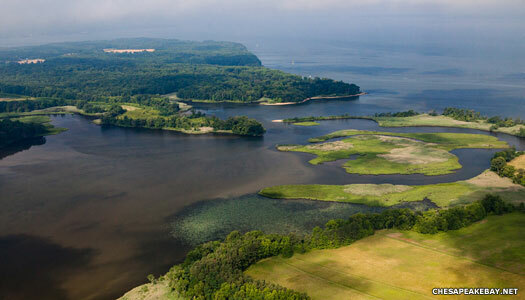 It relates to a story given by the Piscataway tribe in 1660 which stated that, around the middle of the thirteenth century, a king came to them from the eastern shore and subsequently ruled over all of the natives who now [in 1660] inhabited the Algonquian-speaking lands of eastern Virginia. The story also said that this king ruled over the Patawomeck and Susquehannock, forming a kind of empire which endured through several generations of his successors. The formation of the Powhatan confederacy must have hurt them greatly, but there are still signs of the empire's survival at the start of the seventeenth century. The distance between the Patawomeck and Powhatan's seat of power, and their proximity to confederacy enemies such as the Piscataway who lived on the Potomac's northern bank and the Iroquoian-speaking Massawomeck who used the river to attack from farther up north, forced the Patawomeck to play smart politics. The tribe took advantage of the protection that came with their tribute payment, and yet still asserted their independence whenever possible, often playing Powhatan and the English off against each other. Information regarding the Powhatan integration of the Patawomeck into the confederacy is virtually non-existent. Only the story linking them to the Piscataway 'empire' offers any clue about their pre-Columbian existence. Their allegiance to the Powhatan must have been tenuous at best, and probably due only to convenience. The emperors are known as jan jan wizous, which in the Algonquian language signifies a true king. Their title is translated into the native Algonquian as tayac, the northern Algonquian equivalent to weroance. Their people will not refer to them as tawzin, which is the style they give to the sons of their kings, princes who will never rule themselves as they are inferior to the sons of brothers or sisters (essentially a by-product of matrilineal succession). Dates are calculated back from Emperor Uttapoingassinem (II) in 1662. By the end of the sixteenth century, Wahunsenacawh (more accurately known as Wa-Hun-Sen-A-Cawh, and better known as Powhatan) is the paramount chieftain of the Powhatan confederacy, which includes most of the indigenous tribes in the Chesapeake Bay region (but not all of them). This includes the Patawomeck, which clearly draws them away from the northern Algonquin 'empire'. It doesn't sever all links with the Piscataway, however. The two maintain relations and seemingly form a conduit for diplomacy and trade between the 'empire' and the Powhatan confederacy. Nansuapunk is weroance of the Patawomeck (Potomac), a tribe which controls the confederacy's trade capital on the banks of the Potomac River. Northern traders, such as the Piscataway and others, meet in the main village and trade their goods, and then the Patawomeck trade these goods to the rest of the Powhatans. Therefore the tribe holds sway over the supply of many goods. Nansuapunk has an eye on profit, and is not always above greed. His aim is often unlike the fair play that one might expect, as material gain seems to be his main objective. The Patawomeck are attacked by an enemy tribe - the Bocootawanaukes - and about a hundred Patawomeck tribesmen are killed. This would seem to be far more serious than the usual round of raiding and counter-raiding in which one or two deaths might occur. Exploring the northern edge of Chesapeake Bay, Captain John Smith of the British Colonies meets the Patawomeck at their main settlement. At this time, as Smith records, the tribe numbers about eight hundred people which includes one hundred-and-sixty warriors. Weroance of the Patawomeck. Killed in 1623? Far more sympathetic to the English than Powhatan, in late 1610 or early 1611, Japasaws relates the tale of creation to an English sea captain named Captain Samuel Argall. In 1612 Powhatan's daughter, Matoaka (Pocahontas) marries the Patawomeck warrior, Kocoum. The English form a defensive alliance with the Patawomeck against Powhatan, and trade corn with the Patawomeck through Capt Samuel Argall. When Matoaka (Pocahontas), whose mother is considered by most sources to be a Patawomeck woman, visits the Patawomeck on behalf of her father, she is taken hostage by the weroance, Japasaws. He has been helping the English in their efforts to evade Powhatan's intention of starving them into submission. Japasaws trades her to Samuel Argall in exchange for a copper kettle! This results in a truce in the First Anglo-Powhatan War and Pocahontas becomes a pawn in the politics of the day. However, Powhatan refuses to trade for his daughter, and she throws in her lot with the English, marrying John Rolfe and converting to Christianity. The marriage leads to peace talks and the end of the Powhatan-driven war. Upon the death of Wa-Hun-Sen-A-Cawh (Powhatan) in 1618, he is succeeded as paramount chieftain by his brother, Opitchapam. In fact, this hand-over takes place in 1617, with Wa-Hun-Sen-A-Cawh residing amongst the Patawomeck for the last few months of his life. 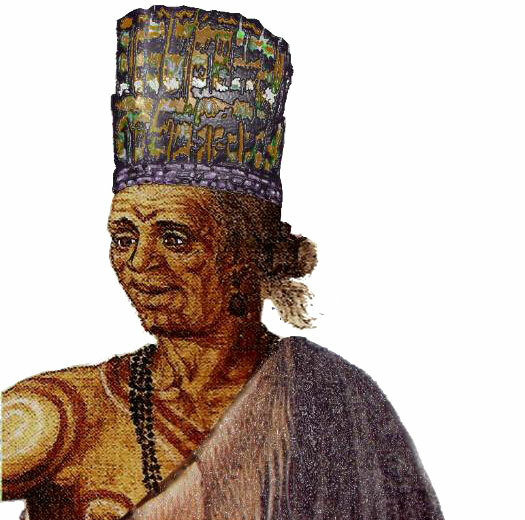 However, a younger brother, Opechancanough, appears to be building a power base amongst his Pamunkey subjects and would already appear to be the true power in the confederacy. Following the war's opening stages, Captain William Tucker holds a peace party at the main Patawomeck village in 1623 in order to persuade Opechancanough that the English desire peace. The English deceive the Indians into drinking poison, which kills over one hundred-and-fifty of them, including several chiefs. It is likely that Japasaws is included in this number. His known successor is Wahanganoche, but he is only a year old at this time. There may be another successor whose name has been lost to history, but it soon emerges that Wahanganoche has a guardian and effective regent in the form of his uncle, Archihu. Weroance of the Patawomeck. Died (possibly murdered). Uncle and guardian until Wahanganoche reached maturity. Despite the ongoing war (and presumably only due to the relatively peaceful relations between English and Patawomeck) the Jesuit priest, Father Andrew White visits the main Patawomeck village with Captain Henry Fleet as his guide. He makes peace with Archihu, the uncle and guardian of the young Patawomeck chief, Wahanganoche (possibly atonement for the presumed killing of Chief Japasaws in 1623?). In 1642 the chief and his family are baptised into the Catholic church by Father Andrew. Around the same time, in the early 1640s, the tribes refuse to accept Mary Kittamaquund's nomination as 'emperor' as it is contrary to their custom. Descent is by matrilineal succession, but that doesn't mean that females can actually rule. Instead they choose Wahucasso, a descendant of one of Uttapoingassinem's brothers, whom they proclaim emperor. This and subsequent history seems to relate only to the Piscataway, so has the rejection of Mary resulted in the dissolution of the empire? The Second Battle of Virginia - sometimes referred to as the start of a Third Anglo-Powhatan War - takes place in 1644, with the native Powhatan confederacy still under Opechancanough. This bookends the Second Anglo-Powhatan War (1622-1644). The result is that the English completely crush the Powhatan and take control of eastern Virginia. 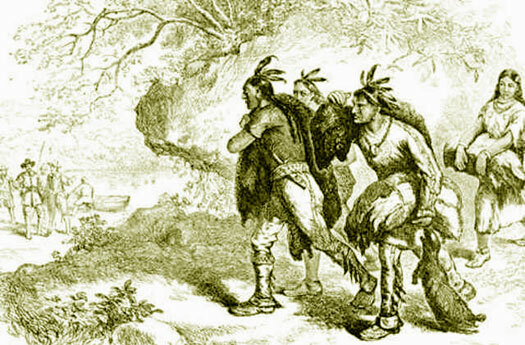 The Powhatan survivors leave Virginia. Being distracted by this war the colonists have little time to concern themselves with the Susquehannock. Unchallenged, the Susquehannock extend their dominion south from the Susquehanna River to the Potomac River where they claim the area between these two points as hunting territory. They do not ask permission of those tribes that live in this area. In 1648 Wahanganoche himself is captured by them. They ransom him, probably in exchange for food and supplies. A certain Captain Giles Brent has a dispute with Chief Wahanganoche of the Patawomeck over land. Brent is ordered by the court to relinquish to the chief some land in Westmoreland County (a section that is now Stafford County). In 1662 a group of Westmoreland County planters try to frame Wahanganoche for murder, but they are unsuccessful and the chief is cleared. In the following year, another planter from the same county, together with an official, raises a militia and attacks the Patawomeck without the consent of the General Assembly. Wahanganoche is issued with a silver badge by the king of England to wear for his own safety when travelling across English lands. Despite it, the chief dies on his way home in 1664, apparently murdered. The Patawomeck now appear to be greatly weakened and much more vulnerable. Unnamed son and presumed weroance of the Patawomeck. In 1665 the General Assembly requires that the Patawomeck sell all their remaining land for the site of a proposed new fort. The assembly also reserves for the governor the right to appoint tribal weroances. Despite this, in June 1666 the Council of Maryland forms a treaty with the Susquehannock and receives from them the late Wahanganoche's two captured sons. In July the governor's council declares war on the Patawomeck, calling for 'their utter destruction if possible'. Most of the men are massacred. Most of the women and children, those who are not already living in English families, are taken as slaves. Some surviving groups migrate into northern Virginia and then into Pennsylvania where they become known as the Conoy, a name coined by the Iroquois. A census of 1669 records no warriors amongst the Patawomeck Indians. The tribe has vanished from colonial records. Some elements of the tribe do survive, however. Many former member tribes of the Powhatan confederacy are extinct by 1722, having drifted away or merged with other remnant groups. This includes the Appamatuck, although their main village of Appamatuck is still in use by a combination of remnants of the former confederacy, called 'Matchotic', which include the Cuttatawomens, Onaumanients, Pissasecs, Potomac (Patawomeck), and Tauxenent. Indian descendants of the survivors of the 1666 massacre make up the current Patawomeck tribe in the USA. This does not include migratory groups who had left the region, including the Conoy group. The Patawomeck descendants have been a close-knit group over the past few centuries, carrying on many of the traditions and skills of their ancestors. Many of the current members of the tribe are direct descendants of Chief Wahanganoche through his daughters, who had become the wives of prominent Virginian colonists. The tribe's modern self-stated goal is to preserve the history of its ancestors for future generations.